Anne Labovitz is an American artist based in St Paul, Minnesota, whose practice includes painting, drawing, and printmaking as well as experimental film and sound. Labovitz has a BS in psychology and art from Hamline University in St. Paul and MFA from Plymouth University, UK / Transart Institute, Berlin, Germany. Her work considers many themes often returning to the central notion of an enduring interest in people—the human spirit, its emotional resonance, and the way it manifests in relationships. Working within the portraiture tradition, she employs a process of layering—from multiple images and text to conceptual connections and multiple elements of physicality found in mark-making and materiality. The notion of contemporary portraiture and human connection—and the activation of the space that connects us—is central to an important new direction in her oeuvre. This new direction is manifesting in a transition from traditional, expressionist self-portraits to composite portraits depicting several people. Most recently, she has begun incorporating text, audience engagement, and public interventions as a vital element of the creative method. Recent solo exhibitions include: 122 Conversations in Ohara Isumi-City, Japan; Petrozavodsk, Russia; Växjö, Sweden at the Växjö Konsthall; Rania, Iraqi Kurdistan at the University of Raparin and at Thunder Bay Art Gallery in Thunder Bay, Canada; Layers at Burnet Gallery, Le Méridien Chambers in Minneapolis; Composite Portraits at the Tweed Museum in Duluth, Minnesota; and Passions at the Athenaeum in La Jolla, CA. She has also exhibited at national and international venues, including Chapman Art Center at Cazenovia College in New York and Talgut die Schönen, in Kunste, Germany. Recent group shows include Someone Else’s Story at Burnet Gallery; Blood Memoirs at the Tweed Museum, curated by Amber-Dawn Bear Robe and the Burnet Gallery’s group show at Select Fair NYC during Frieze Week in New York City. Recent public projects and private art commissions include: I Know You public collaborative drawing as a visiting artist for the Walker Art Center’s Free First Saturday and Projecting the City, for Northern Spark at the Weisman Art Museum. Labovitz’s paintings are part of permanent collections at the Minnesota Museum of American Art, St Paul, MN; the Tweed Museum of Art in Duluth, MN; the Athenaeum Music & Arts Library in La Jolla, CA; the Frederick R Weisman Art Museum in Minneapolis, MN; and the International Gallery of Portrait in Bosnia-Herzegovina. Labovitz’s work has been published in Studio Visit Magazine, Vol. 19, New American Paintings Midwest 2010 and the Penang International Printmaking Exhibition 2010 and International Contemporary Artists, vol II and III. She has co-authored several books on portraiture with Australian artist, Carole Best, and provided illustrations for the children’s book, Honoral & Zarina. Her artwork has been discussed on Minnesota Public Radio and written up in the Chicago Sun Times, the Minneapolis Star Tribune, the Villager, the Duluth Tribune, Letoile Magazine and the Taos Review. She recently has been named 2013 Artist of the Year in Duluth and in 2015 was awarded keys to all six sister cities of Duluth Sister Cities, International (DSCI). Labovitz is active in the art community in the Twin Cities metro area and is currently a member of the Board of Trustees for the Walker Art Center in Minneapolis, the Advisory Board of The Artist Book Foundation in New York City, and a former member of the Colleagues Advisory Board at the Weisman Art Museum on the campus of the University of Minnesota. 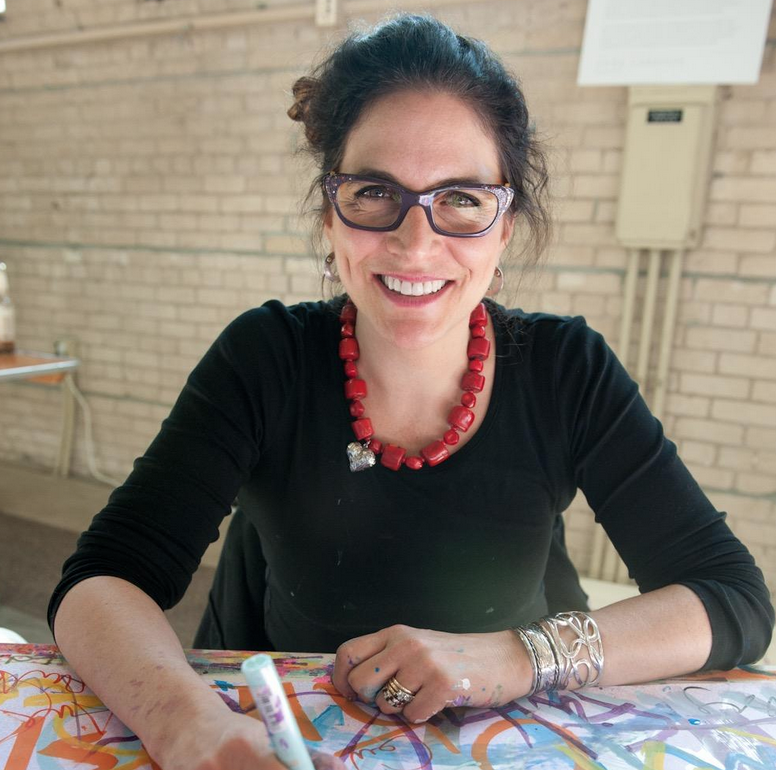 Her passion for art education both in schools and in the community keeps her teaching within both public and private schools and offering workshops to artists of all ages around the Twin Cities.